The Disney Channel has announced today that the upcoming Tangled The Series has officially been renewed for a second season ahead of its first season premiere. 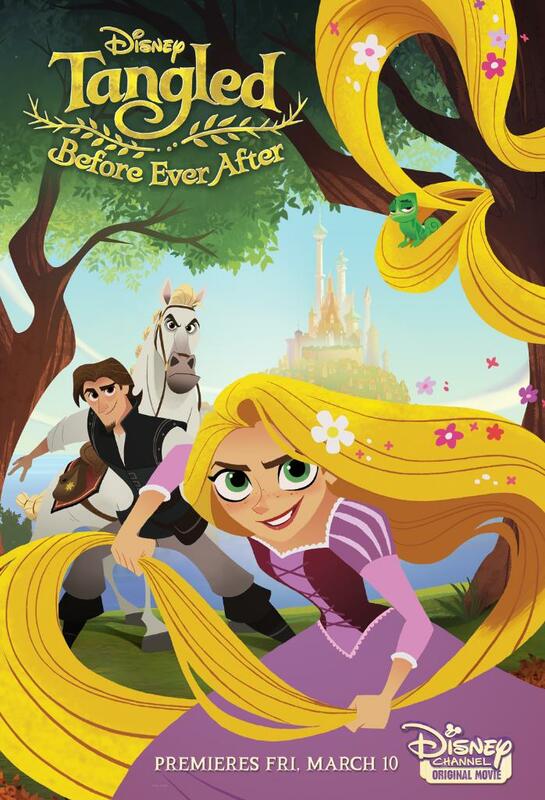 Tangled The Series is set to premiere on Friday, March 24 (7:30 p.m. EDT). Starring alongside Moore and Levi are Julie Bowen (Modern Family) as Rapunzel’s mother, Queen Arianna, Clancy Brown (The Shawshank Redemption) as Rapunzel’s father, King Frederic, and Broadway’s Eden Espinosa as newcomer Cassandra. The recurring guest voice cast includes Jeffrey Tambor (Transparent) as Snuggly Duckling Pub Thug, Big Nose; Sean Hayes (Will and Grace) as Pete the Guard; Jeremy Jordan (Supergirl) as teen alchemist Varian; comedian Jeff Ross as Pub Thug, Hook Hand’s brother Hook Foot; Richard Kind (Spin City) as Uncle Monty; Paul F. Tompkins (Comedy Bang! Bang!) as Pub Thug, Shorty; Jonathan Banks (Better Call Saul) as Varian’s father, Quirin; Peter MacNicol (Veep) as Nigel the Advisor; Diedrich Bader (American Housewife) as Stan the Guard; M.C. Gainey (Lost) as Captain of the Guards; Laura Benanti (Supergirl) as Lady Caine; Adewale Akinnuoye-Agbaje (Lost) as blacksmith Xavier; Pat Carroll (The Little Mermaid) as Old Lady Crowley; Charles Halford (Rectify) as Pub Thug, Vladimir; Steve Blum (Star Wars Rebels) as Pub Thug, Attila Buckethead; and James Monroe Iglehart (Broadway’s “Aladdin”) as Eugene’s friend Lance Strongbow. 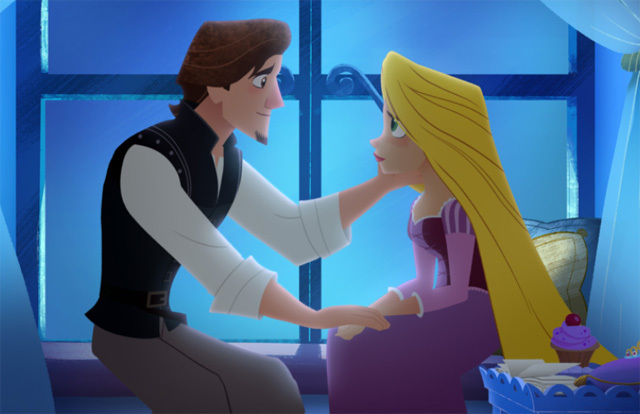 Produced by Disney Television Animation, Tangled: The Series was developed by animation veterans Chris Sonnenburg (Disney’s Enchanted) and Shane Prigmore (The LEGO Movie). Sonnenburg serves as executive producer and supervising director; Benjamin Balistreri (How to Train Your Dragon) is supervising producer; Jase Ricci (Disney XD’s Penn Zero: Part-Time Hero) is story editor; and Alan Bodner (The Iron Giant) is art director. Celebrated artist Claire Keane (Frozen, Tangled), who painted Rapunzel’s tower murals in the feature film, is the series’ visual development artist. The series features songs by Academy Award-winning Disney legend Alan Menken and lyricist Glenn Slater. Emmy Award-winning Kevin Kliesch (Tangled Ever After) serves as score composer.